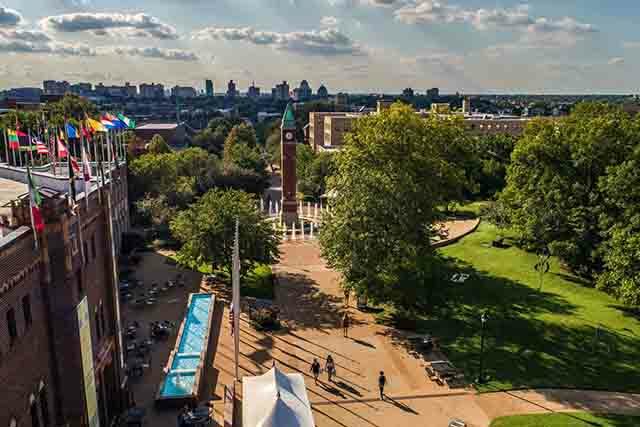 Check out the latest headlines from Saint Louis University – from research breakthroughs to student achievements to major campus events. 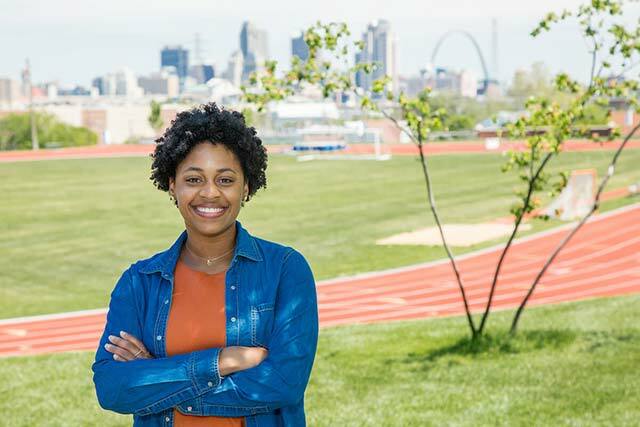 04/24- St. Louis ranks among the top 10 cities for fresh college grads because of its low cost of living, plentiful jobs and concentration of 20-somethings, according to SmartAsset, a financial website. 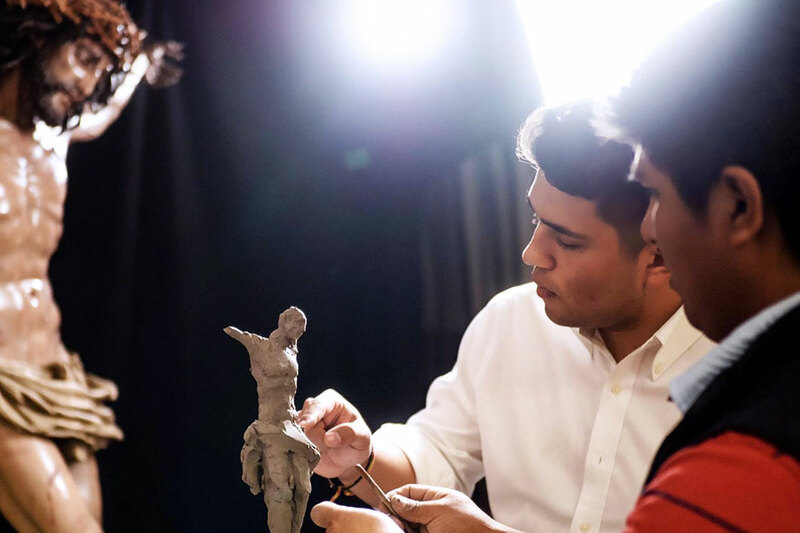 04/24- While pursuing his passion for religious art as a college student, Saint Louis University senior Nick Di Napoli has found his niche in the Spanish art world, working as a researcher and an independent art consultant even before earning his college degree. 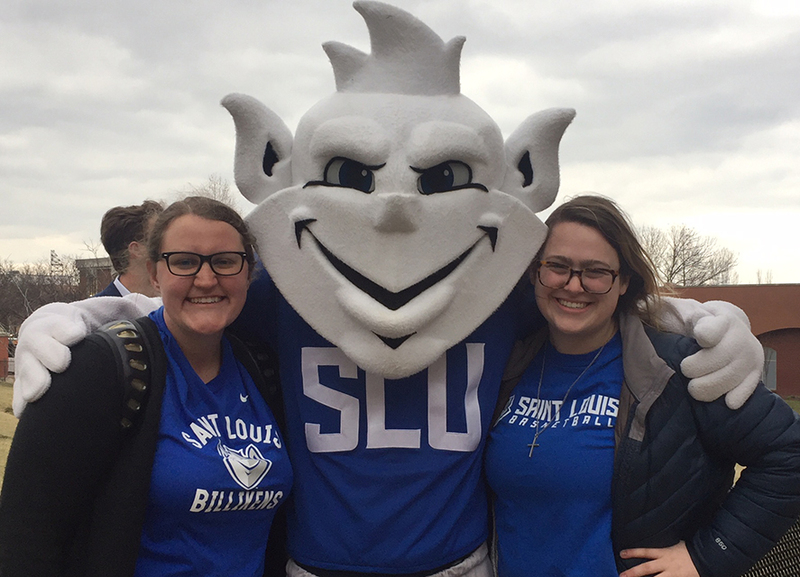 04/23- SLU-Madrid senior Sierra Zima already has a foot in the working world – heading up and managing communications for Blue Mangoes, an international b-corporation dedicated to working with small farmers in developing nations. 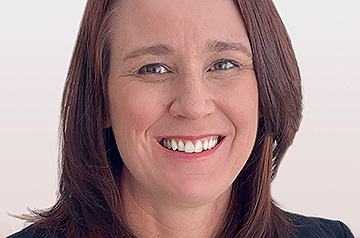 04/23- Marking the ninth time in the last decade, a Saint Louis University nursing faculty member was named as the region's top nursing educator by St. Louis Magazine. 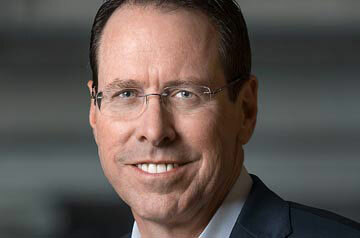 04/18- Randall L. Stephenson, chairman and CEO of AT&T, will address SLU's new graduates and will receive an honorary degree during the May 18 commencement ceremony. 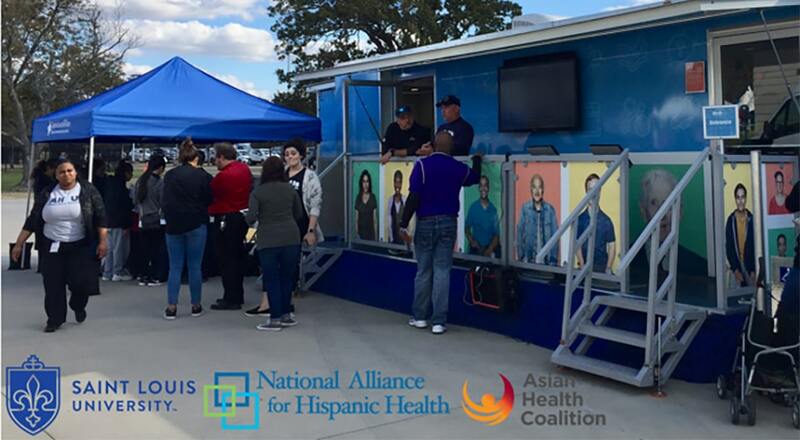 04/17- The All of Us Mobile Education and Enrollment Center will visit the south and north campuses of Saint Louis University during the week of April 22-26. 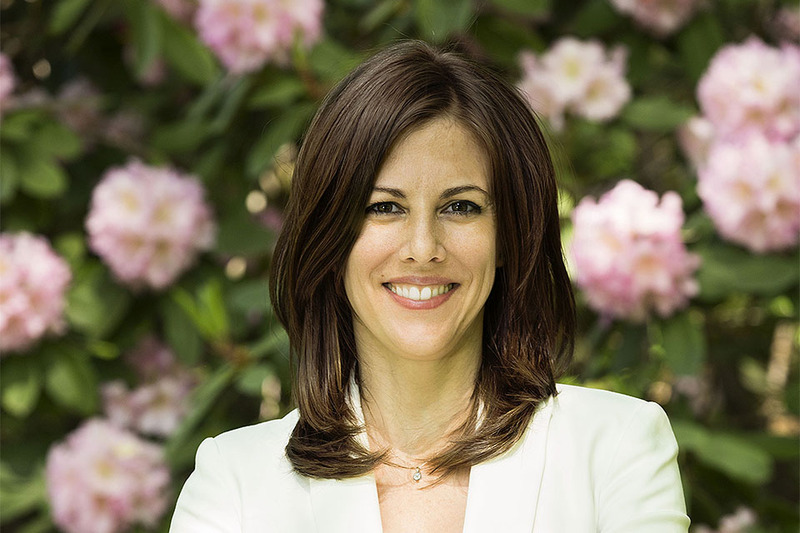 04/17- Award-winning historian and author Victoria Johnson, Ph.D., will deliver the 2019 John Dwyer Public Lecture at 4 p.m. Friday, May 3, in the Shoenberg Auditorium at the Missouri Botanical Garden, 4344 Shaw Boulevard. 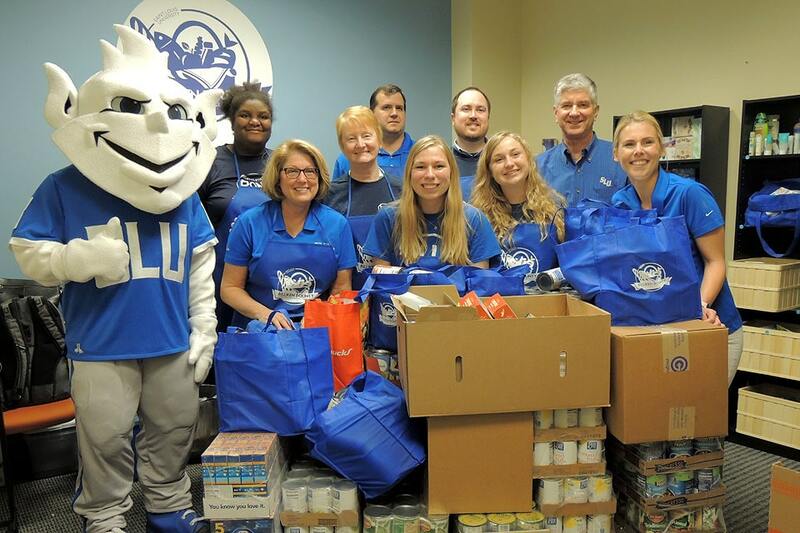 04/16- Employees from TIAA and TIAA Bank, the University’s retirement services partner, gathered hundred of pounds of donations from across the country to benefit SLU’s student food resource center, Billiken Bounty. 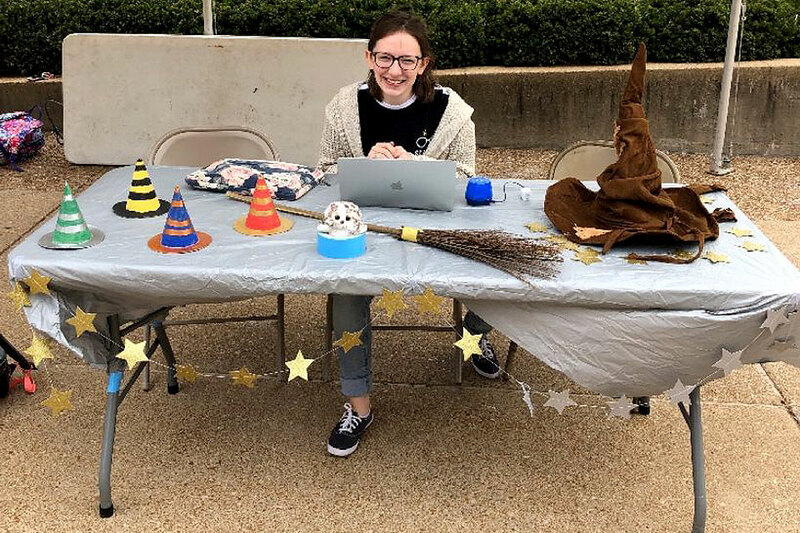 04/16- They may not have a Quidditch field, but the members of Saint Louis University’s Hufflepuff, Ravenclaw, Gryffindor and Slytherin houses are bringing their love of all things Potterverse to life as they pursue a Jesuit education. 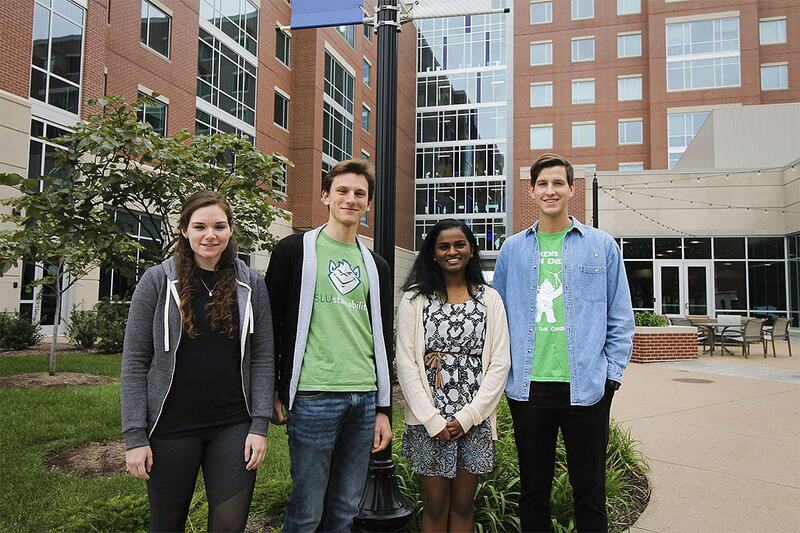 04/10- Because of an initiative launched by students, Saint Louis University has been recognized by the Environmental Protection Agency for its use of green power. 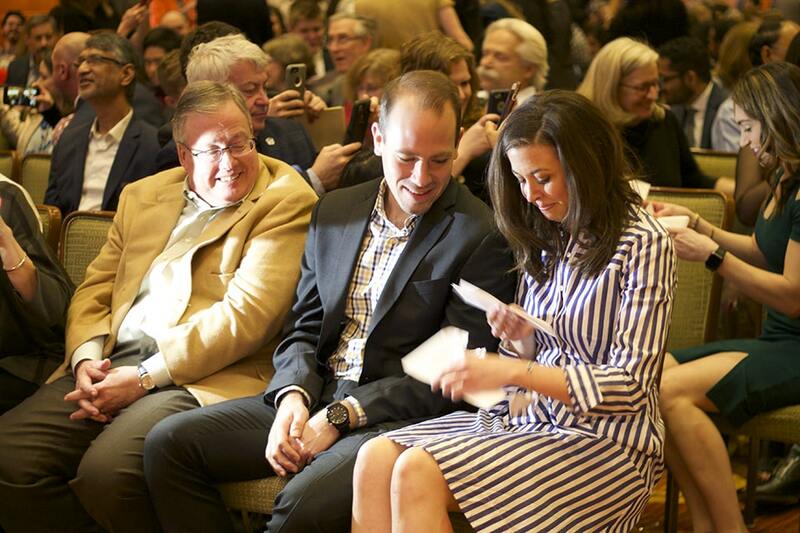 04/10- Saint Louis University announces the opening of the PRiME Center (Policy Research in Missouri Education). 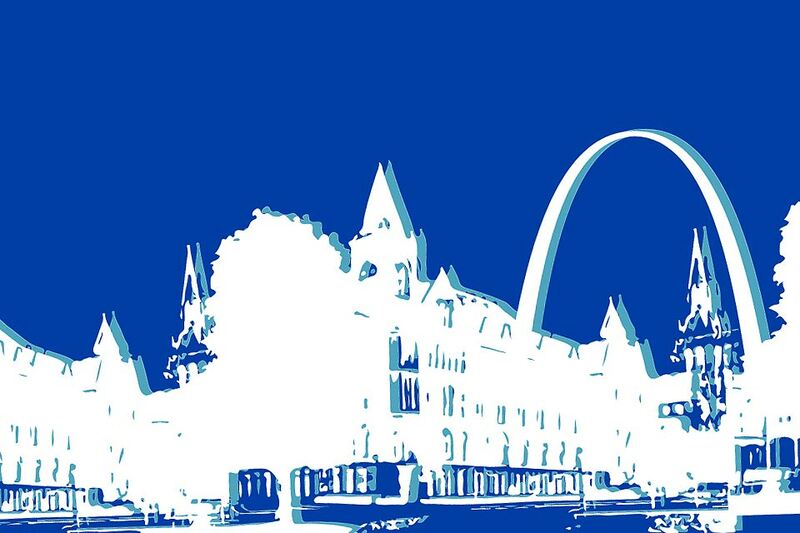 The PRiME Center is an independent research center housed in the Saint Louis University School of Education, specializing in generating, collecting and disseminating education policy research. 04/09- A capacity crowd of 650 regional leaders from academia, government and industry joined students at the Midwest's first geospatial conference on Tuesday, April 9, at Busch Student Center. 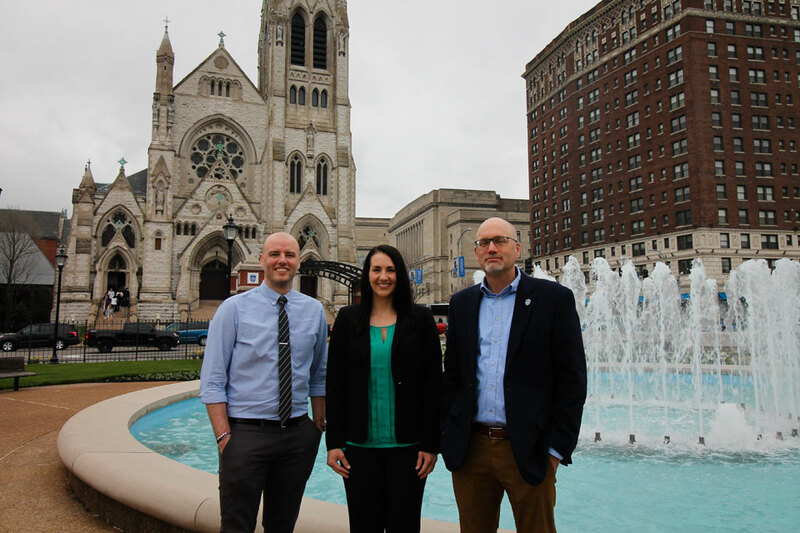 The Geo-Resolution 2019 Conference was co-sponsored by SLU and the National Geospatial-Intelligence Agency (NGA). 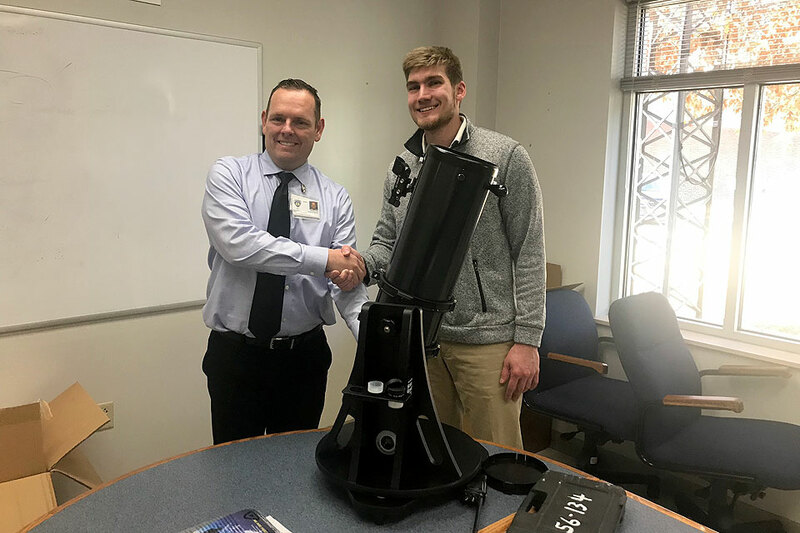 04/04- Thanks to studying abroad, Conner Gibson is preparing to take the language skills and global perspectives they gained forward into a career in nursing. 04/03- The ABO will award Eustáquio A. Araújo, D.D.S., M.S., the Dale B. 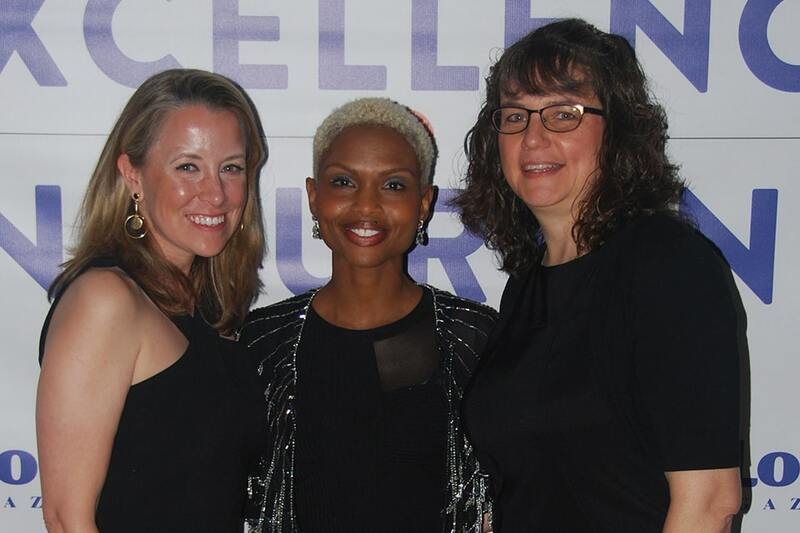 Wade Award of Excellence in Orthodontics. Araújo is the Pete Sotiropoulos Endowed Professor of Orthodontics at SLU's Center for Advanced Dental Education (CADE). 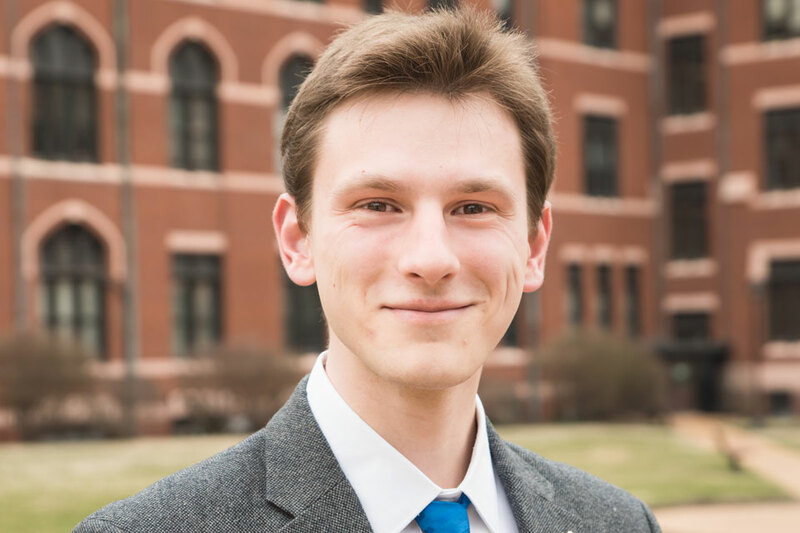 04/03- For Douglas Fritz, a passion for sustainability plus interest in American history times a dream of becoming a doctor have equaled a truly interdisciplinary college experience. 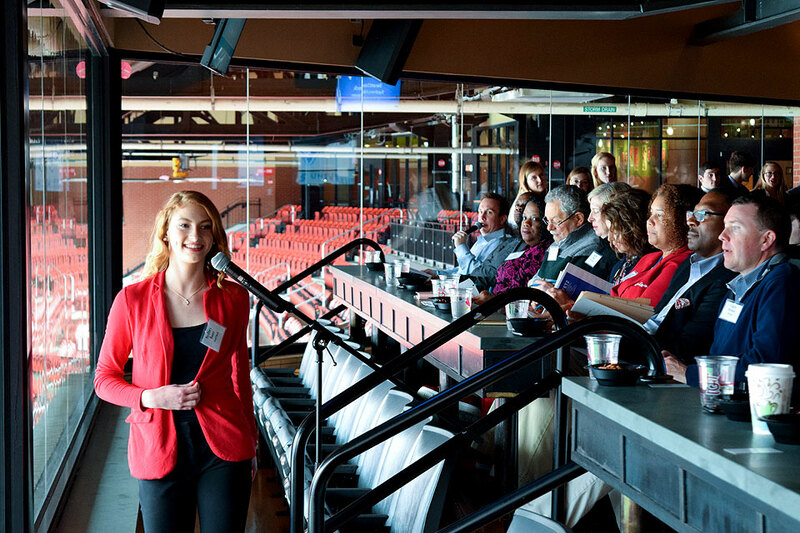 04/01- Saturday’s pitch deck competitions at Busch Stadium were sponsored by SLU’s Chaifetz Center for Entrepreneurship. 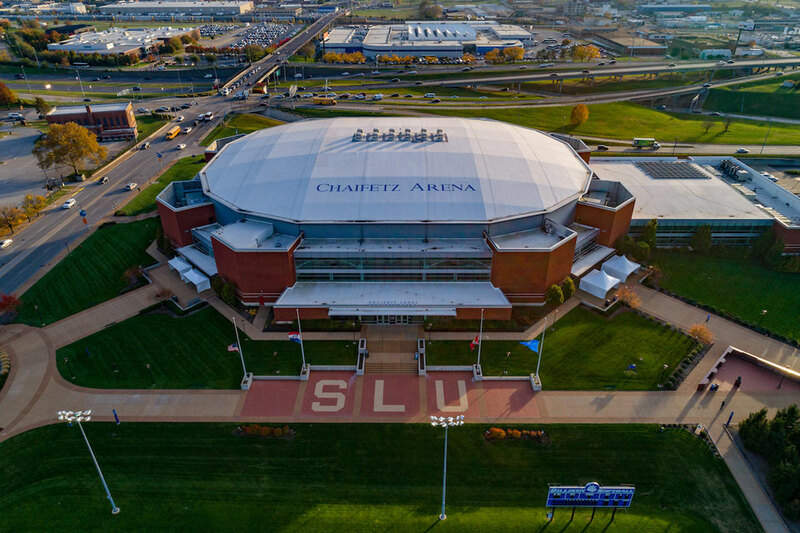 The event was the final of three competitions the Chaifetz Center hosts each year to foster entrepreneurship among young people while connecting young entrepreneurs with the St. Louis business community. 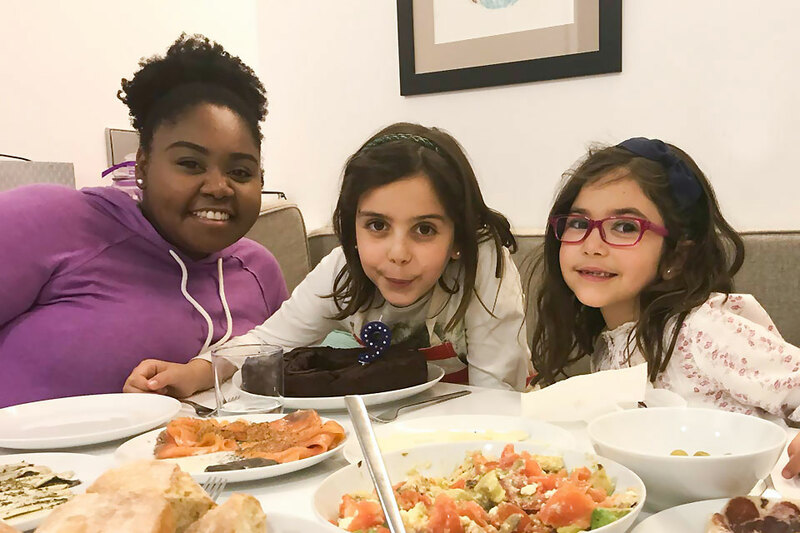 04/01- For two and a half years, SLU student Janee Mahan has been volunteering to teach English to Irene, a seven-year-old girl who shows her American big sister off to friends and serenades her while wearing princess dresses. 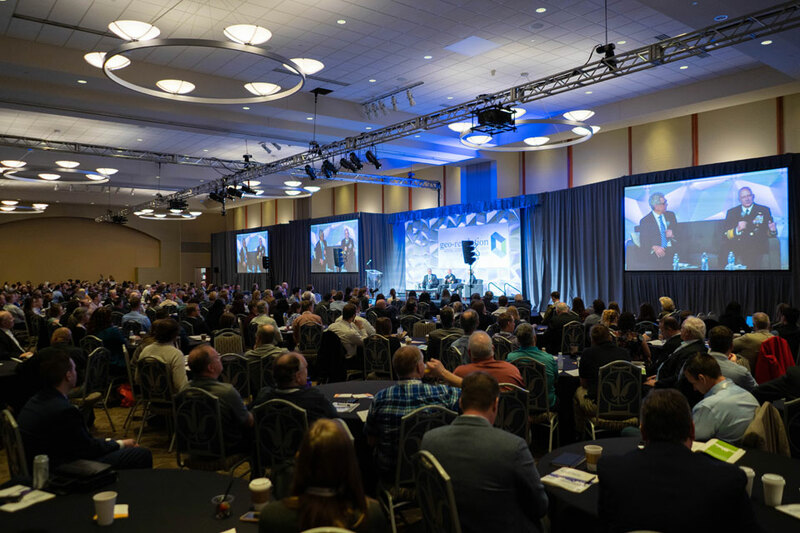 03/29- The April 3 symposium at Chaifetz Arena will include panels, keynote talks and breakout sessions about the field of cybersecurity and its future frontiers. 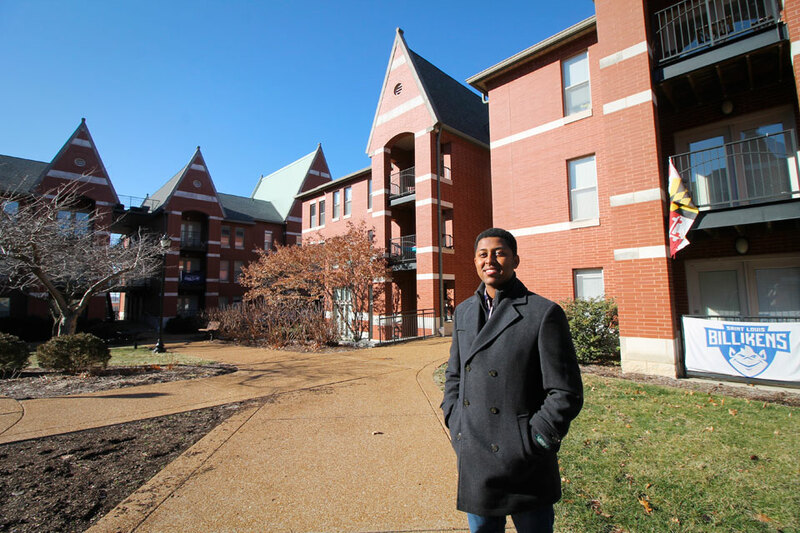 03/28- The project, one of the 18 inaugural awards made through SLU's 1818 Community Grant Program, is bringing astronomy classes to men transitioning out of prison through a partnership with the Transition Center of St. Louis. 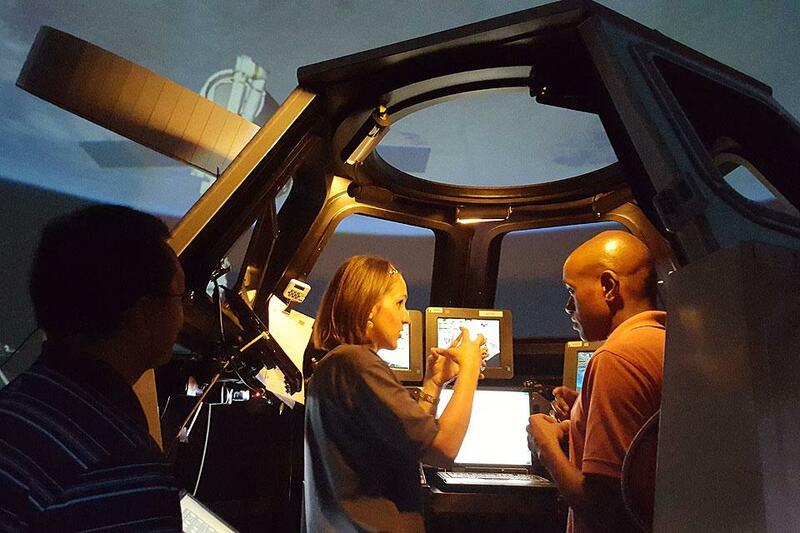 03/26- The landmark geospatial conference in St. Louis on April 9 will bring together government, academic and industry partners, as well as St. Louis area college and graduate students. 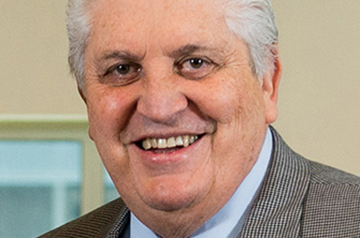 03/25- J. Kim Tucci, a former member of Saint Louis University's Board of Trustees, and a noted business and civic leader, as well as a Billiken booster, died Monday, March 25, 2019. He was 78. 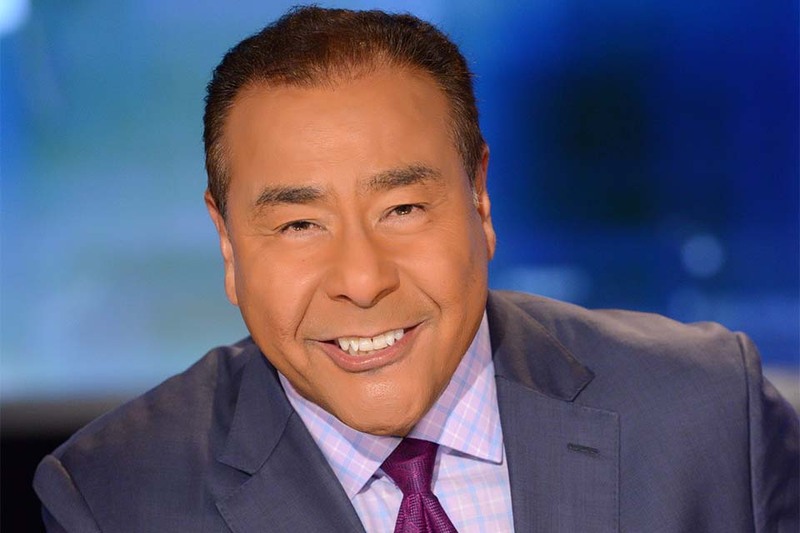 03/25- A highlight of Atlas Week 2019 will be the signature symposium keynote address by veteran journalist John Quinones. 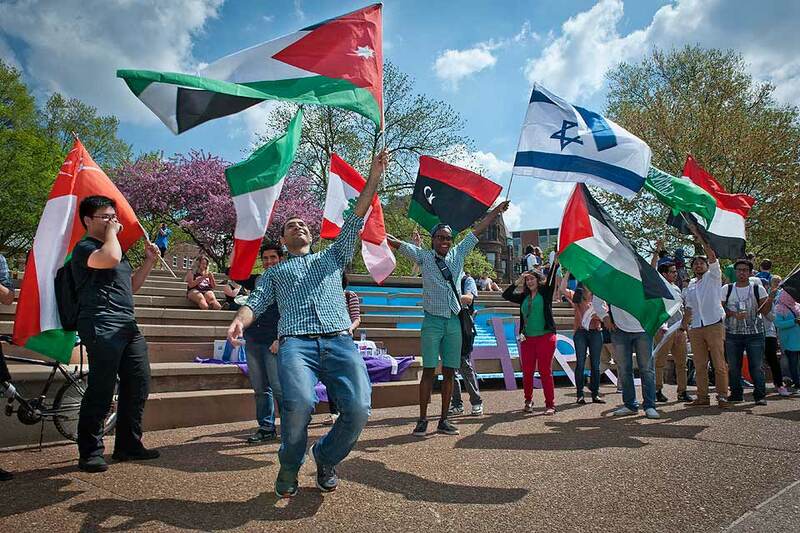 03/25- Saint Louis University will celebrate its international reach and community while considering the experiences, struggles and triumps of those who migrate around the globe during this year's Atlas Week. 03/21- The men's basketball team is the No. 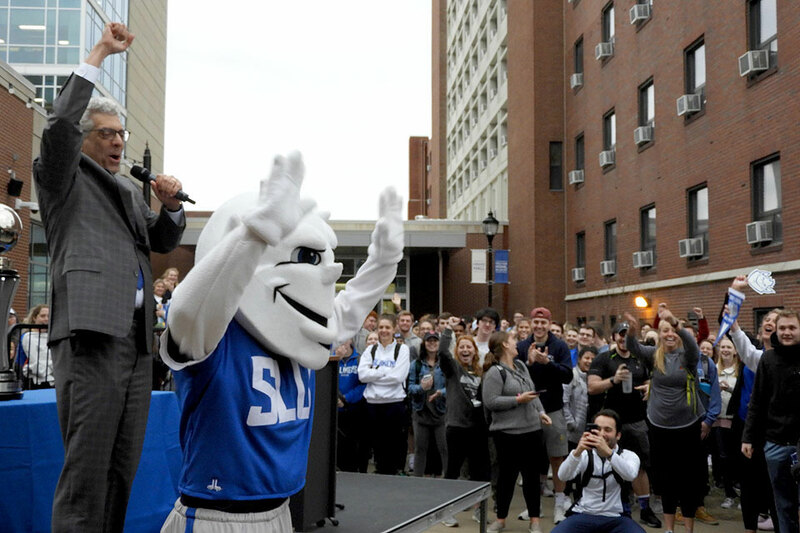 13 seed in the East Region of the NCAA Tournament, the Billiken won Jimmy Fallon's dunk contest and the SLU campus is feeling March Madness in the air. 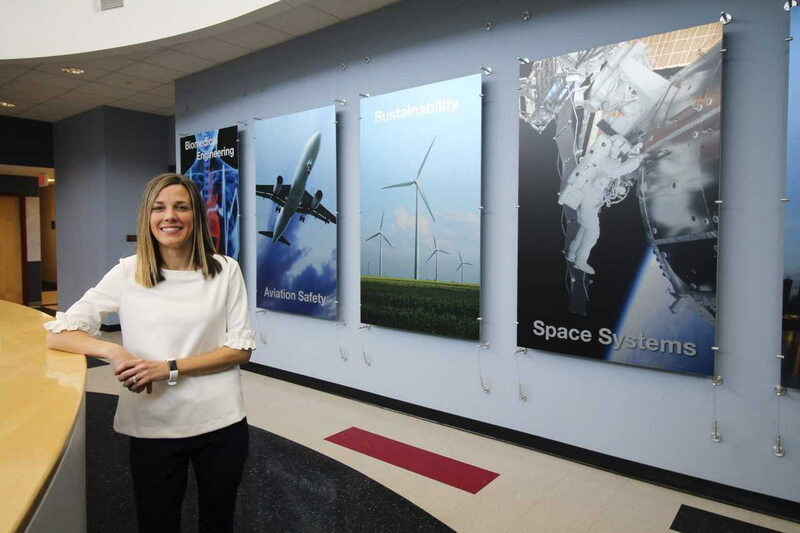 03/21- With storied alumni, novel research and cutting-edge teaching, Saint Louis University students, alumni and faculty members are building on a legacy of innovation to find solutions to the new challenges humanity will encounter through space exploration. 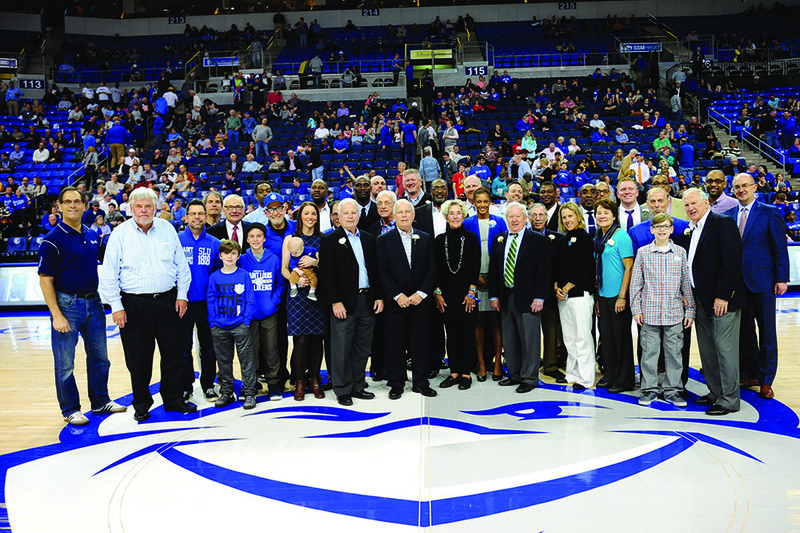 03/20- Thanks to generous donations, including that of SLU Trustee, benefactor and Billiken fan Dr. Richard A. Chaifetz, Saint Louis University will send students to watch the men's basketball team compete in the NCAA Tournament in San Jose, California. 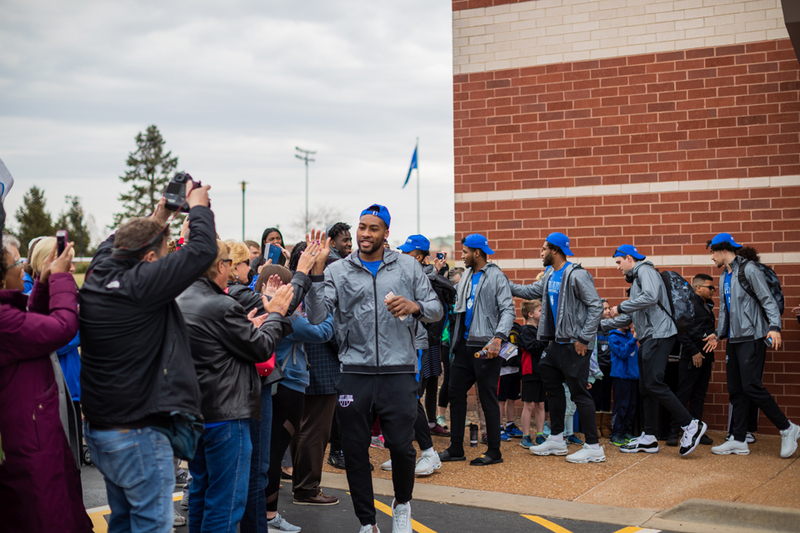 03/19- The Saint Louis University community sent the men's basketball team off in style Tuesday to the 2019 NCAA Tournament. Well wishers gathered at Chaifetz Arena to see the team off to its first-round game in San Jose, California. 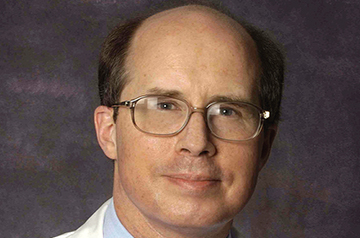 03/19- Stephen Barenkamp, M.D., professor of pediatrics at Saint Louis University and director of the division of pediatric infectious diseases at SSM Health Cardinal Glennon Children's Hospital, died March 17. 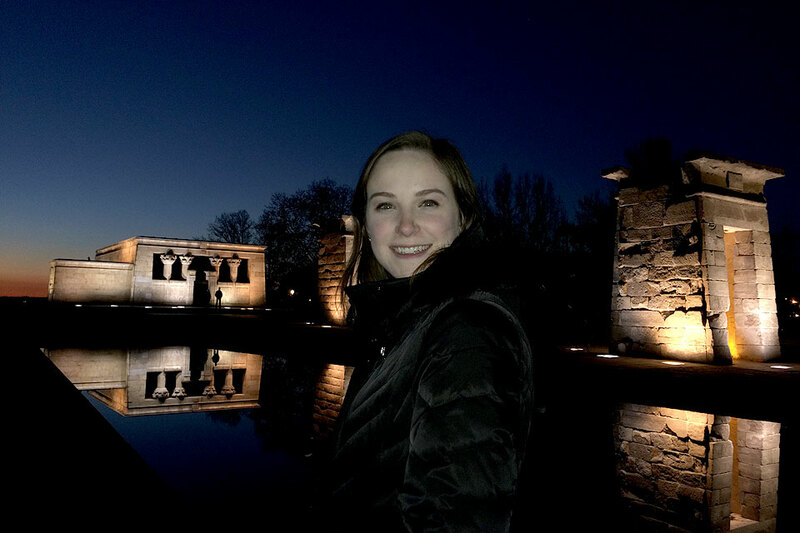 03/18- When she began her college education, Meredith Walker never dreamed that it would include kicking up her heels in Spain – or building prosthetic hands out of tape and straws. 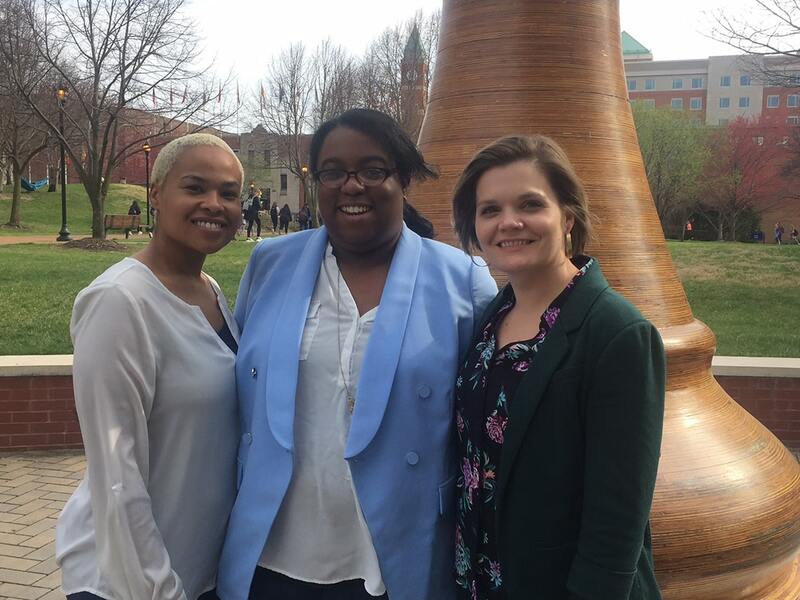 03/15- Fourth-year students from Saint Louis University’s School of Medicine participated Friday in the National Residency Match Program (NRMP). NRMP annually matches students with their preferred choice for residency. 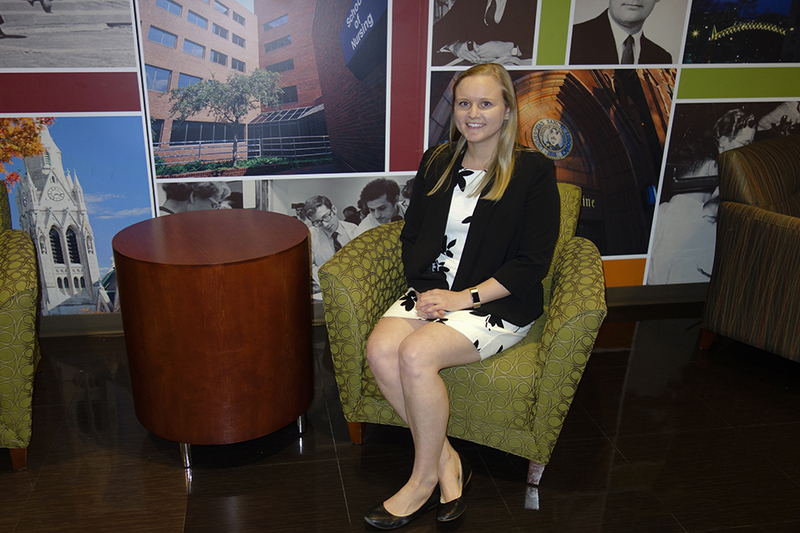 03/14- Sixteen members of the Saint Louis University School of Medicine Class of 2019 were honored for their four-year commitment to the Ignatian model of serving the needs of others in the community. 03/14- The new STLMade movement, which tells stories about the people and places that lend vibrancy and character to St. Louis, highlights a project by a Saint Louis University communication faculty member in its inaugural edition of thestl.com. 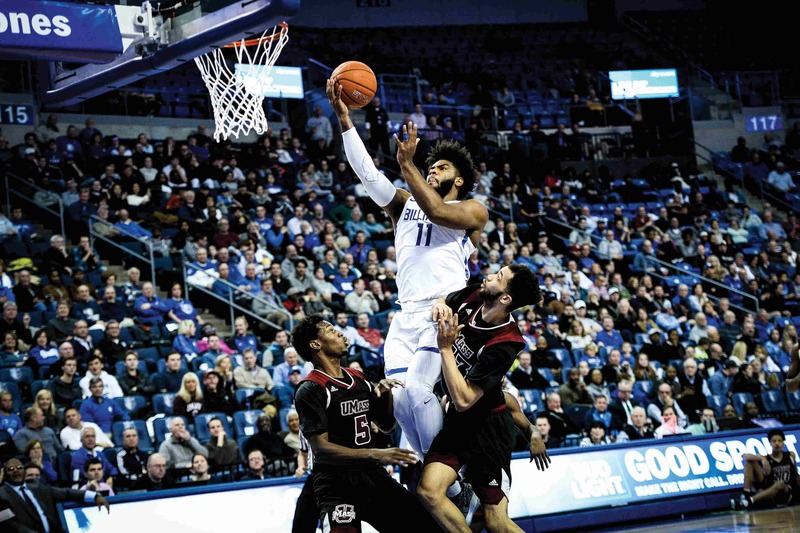 03/13- The Billikens are the No. 6 seed and headed to the Barclays Center March 14. Here's what you need to know. 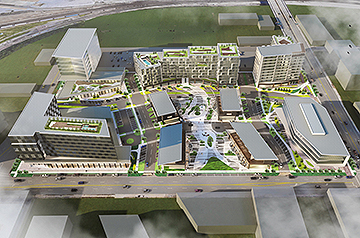 03/13- An 850,000-square-foot, mixed-use development with retail, entertainment, housing and more is planned for the property. 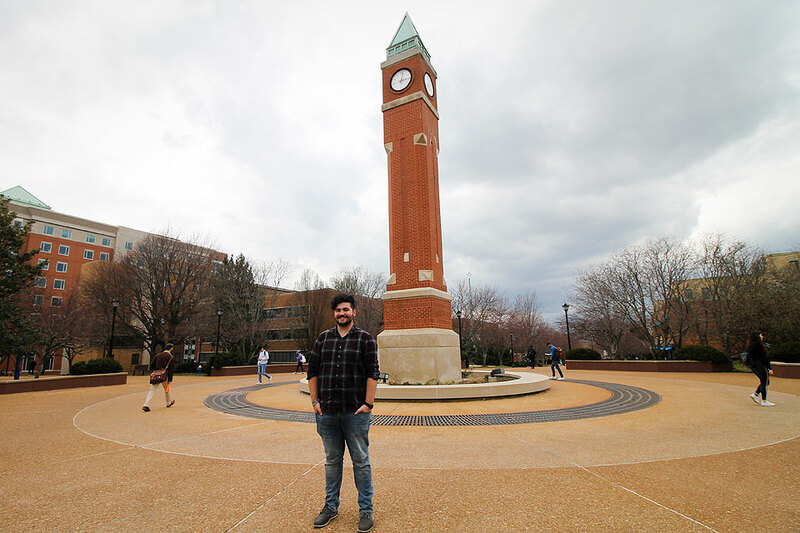 03/12- During his four years at Saint Louis University, senior Hile Ermias has helped nearly 200 of his fellow Billikens thrive academically while also putting his public health classes into practice through volunteerism and as an emergency medical technician (EMT). 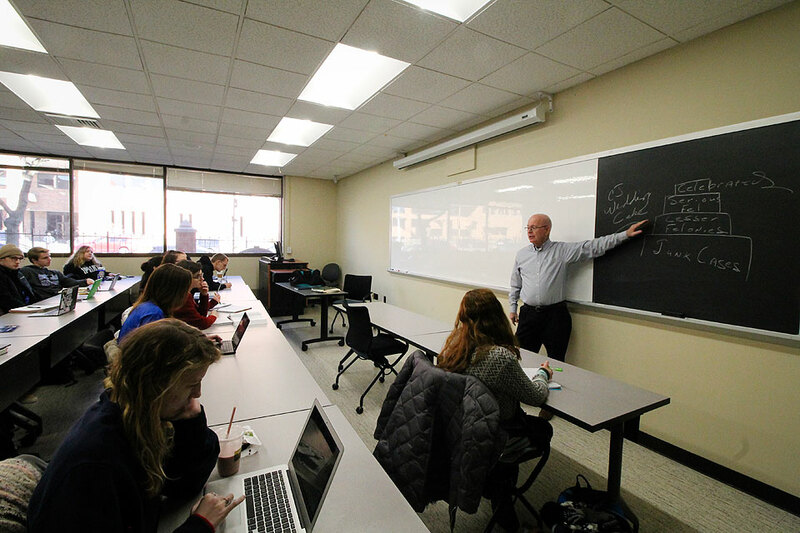 03/12- The Health Law program at Saint Louis University’s School of Law has been named the best in the nation for the 15th year in the newly released 2020 U.S. News & World Report Best Graduate School rankings. 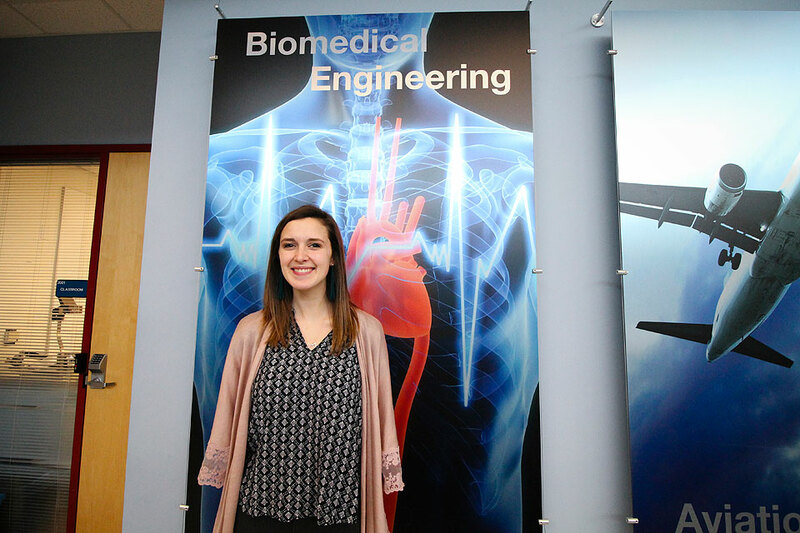 03/07- Thanks to a million dollar National Science Foundation CAREER award, SLU's Jenna Gorlewicz, Ph.D., aims to help bridge the divide through robotics and touchscreen technology. 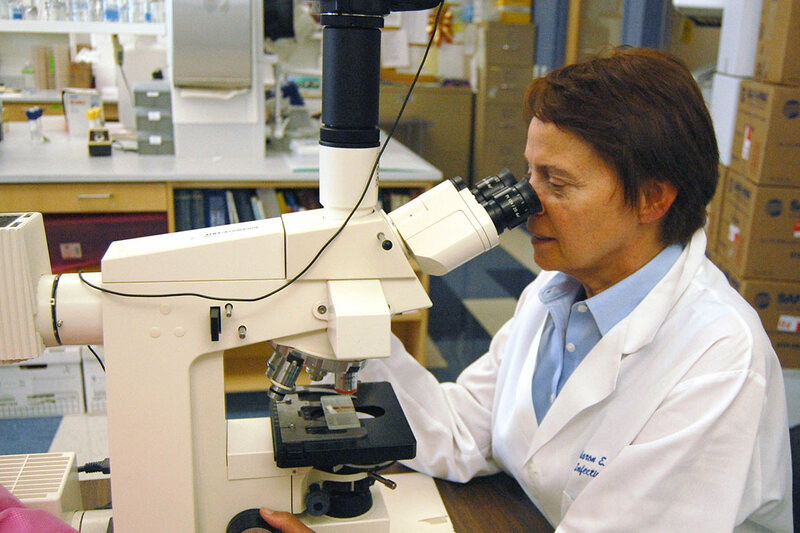 03/06- Saint Louis University continues the push to develop a vaccine for avian flu, amid concerns that the viruses could mutate to cause a potential pandemic. 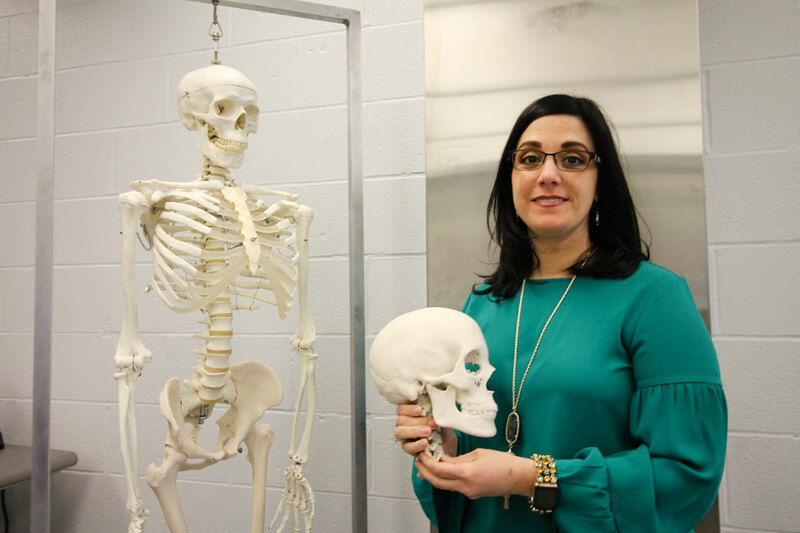 03/06- MariaTeresa Tersigni-Tarrant, Ph.D., associate professor of anatomy in the Center for Anatomical Science and Education and the Department of Surgery, and adjunct associate professor of pathology, has been elected president of the Board of Directors for the American Board of Forensic Anthropology (ABFA). 03/06- Researchers at Saint Louis University have found that eating a Mediterranean diet can improve athletes' endurance exercise performance after just four days. 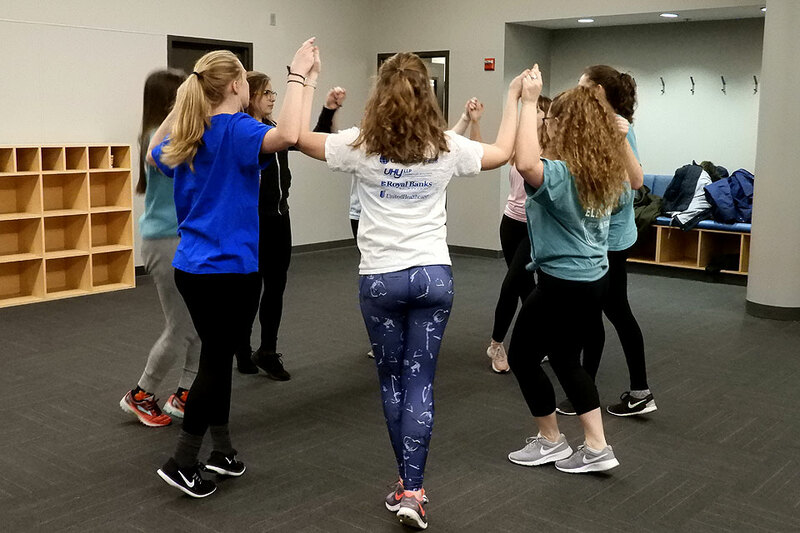 03/05- Elevation members have a range of dance experience but all said the ability to stay connected to their Irish heritage through jigs, hornpipes and reels has helped make their college experience more compelling. 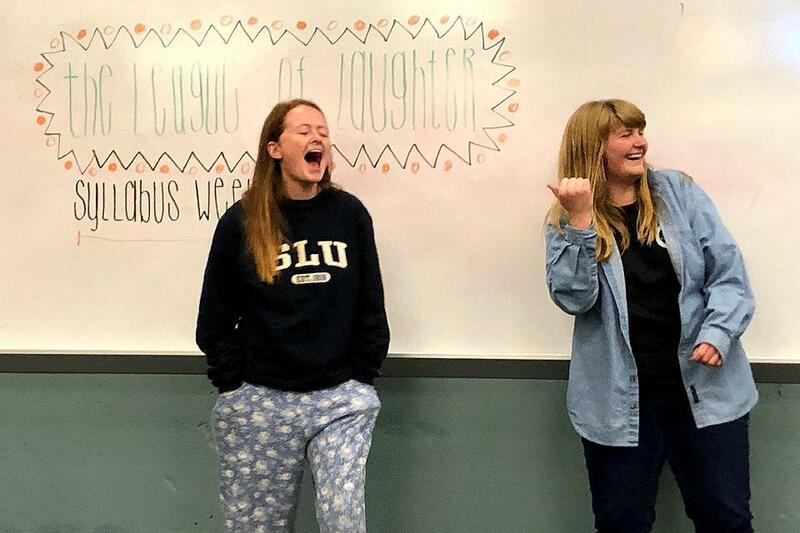 03/05- Using improv and comedy, Saint Louis University’s League of Laughter (LOL) puts it all on the line to create a campus atmosphere that provides joy, acceptance and the means to de-stress. 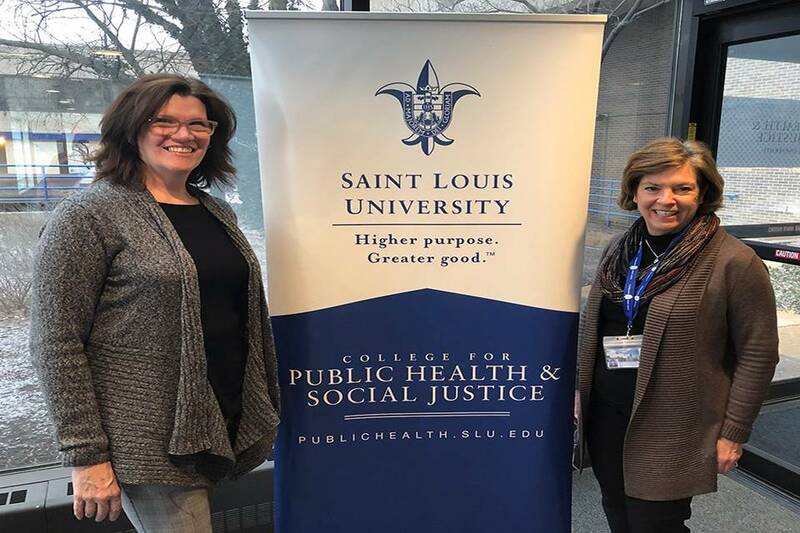 03/01- Saint Louis University'sPamela Xaverius, Ph.D., associate professor of epidemiology, and Darcy Scharff, Ph.D., associate professor of behavioral science and health education, received a $580,000 grant from Missouri Foundation for Health. 02/28- Saint Louis University ranks as the top university in Missouri for job placement, according to Zippia, a career resources website. 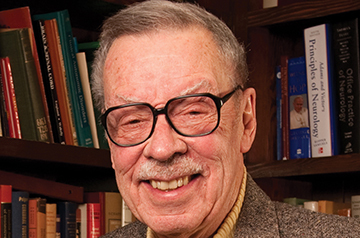 02/22- Robert Woolsey, M.D., professor emeritus of neurology at Saint Louis University, died Feb. 18, 2019. He was 87. 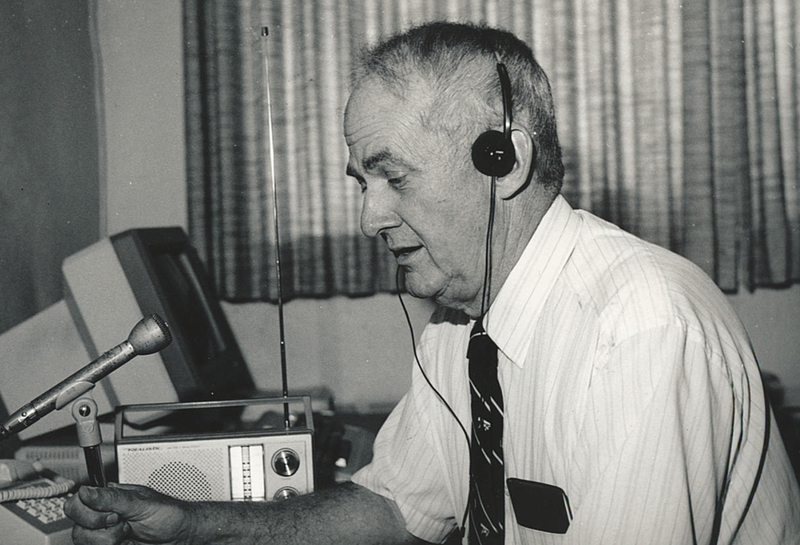 02/21- Ben Abell, a Saint Louis University alumnus, professor of meteorology and respected broadcast meteorologist, died Feb. 11. He was 86. 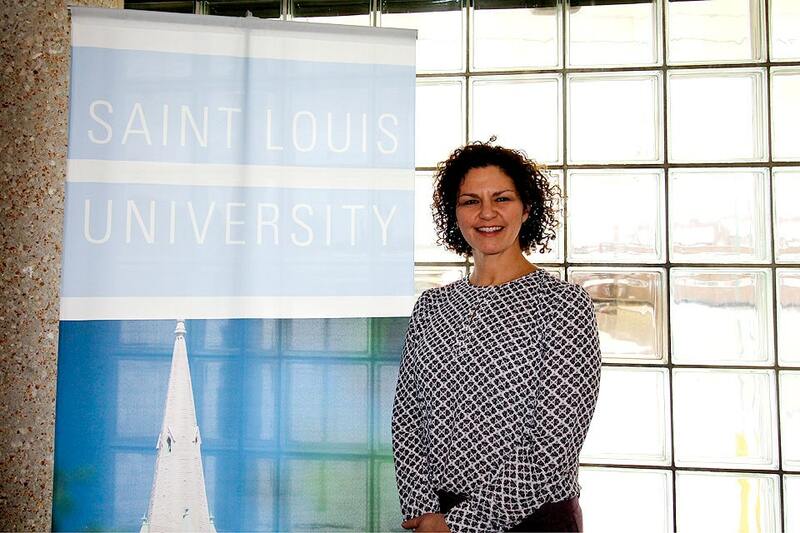 02/20- In a newly established role, Jessica M. Evenson will serve as the primary architect and steward of enterprise-wide compliance initiatives at SLU. 02/17- The battle raged for just under an hour. 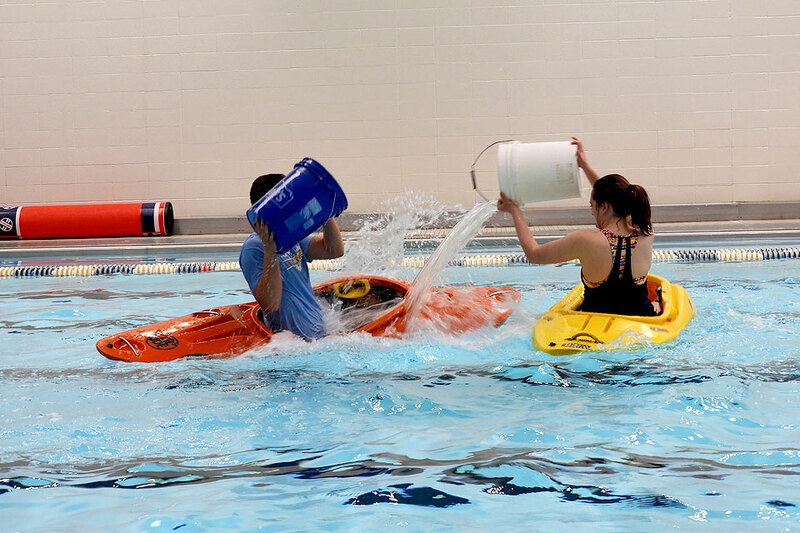 In the end, however, those taking part in the SLU Kayak Club’s first “Pool Battleship” melee were all smiles as they tossed bucket after bucket of water at each other, attempting to sink each other’s boats. 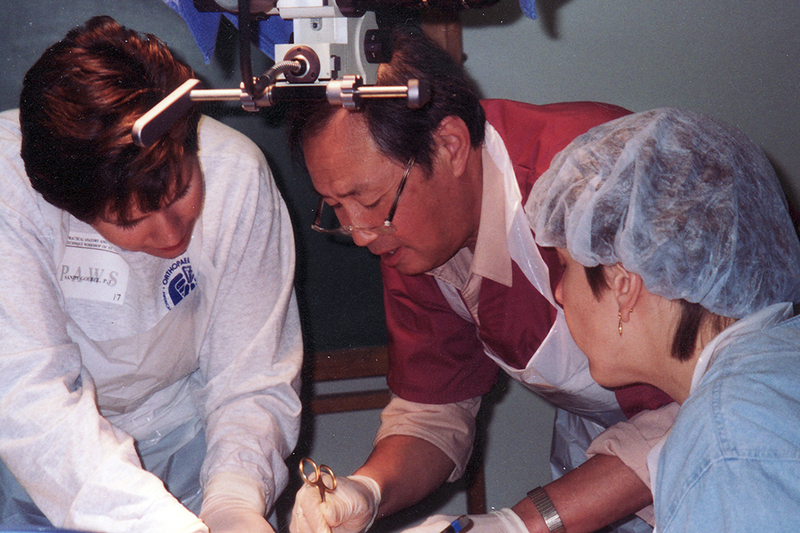 02/15- Yunxi Tan, M.D., professor emeritus of anatomy at Saint Louis University, died Feb. 10, 2019. He was 85. 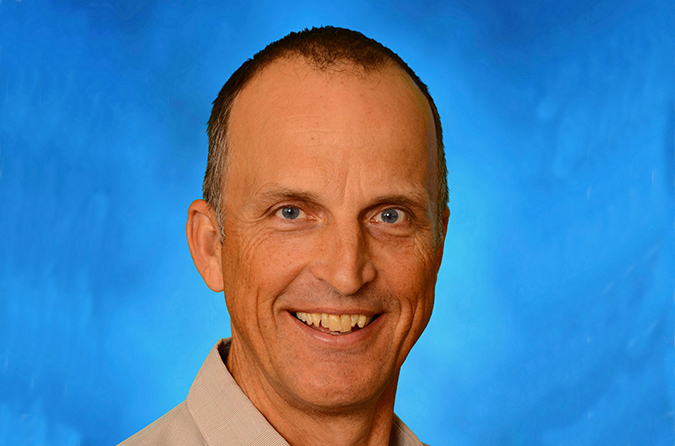 02/14- Professor Raymond Tait, Ph.D., acting chair in the Department of Psychiatry and Behavioral Neuroscience in the School of Medicine, has been recognized by the American Pain Society (APS) for his achievements in advancing the clinical study of pain. 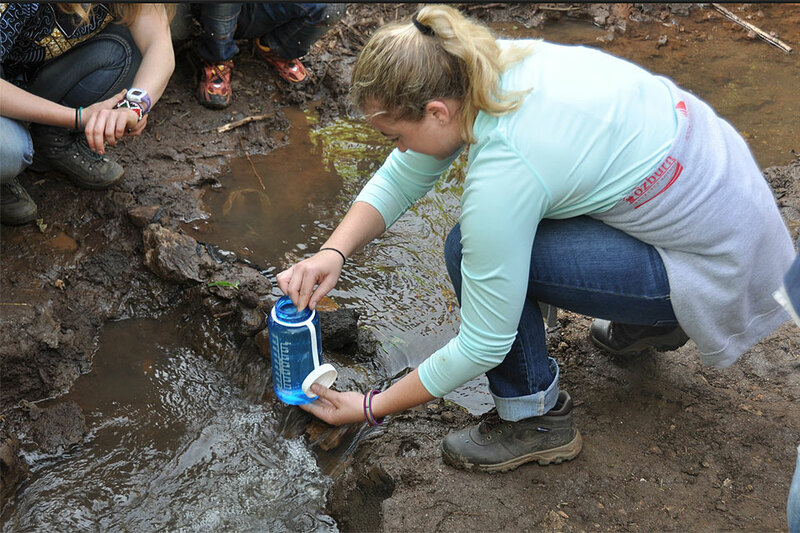 02/12- Students from Saint Louis University are partnering with a small community and orphanage in Kenya to provide consistent access to clean water through a five-year project spearheaded by SLU’s chapter of Engineers Without Borders (EWB-SLU). 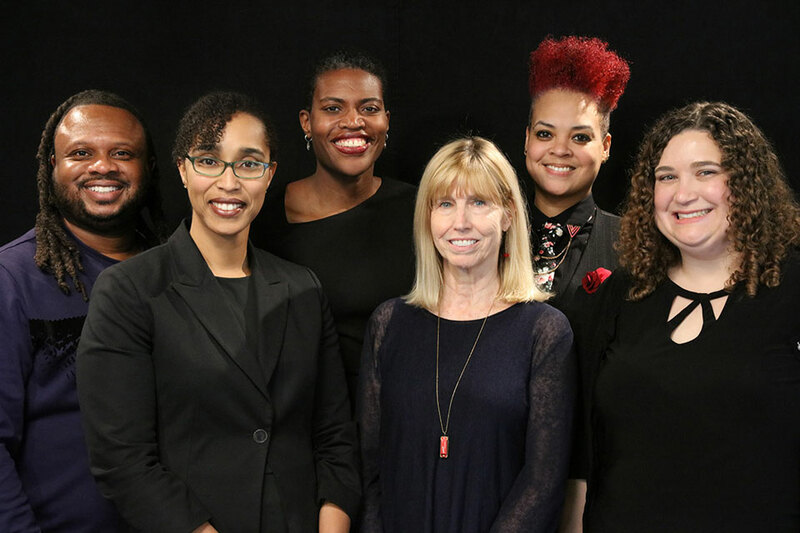 02/12- A group of Saint Louis University professors has received a prestigious grant from the Robert Wood Johnson Foundation’s Policies for Action program to evaluate the effects of racial equity and social justice initiatives on policy nationwide. 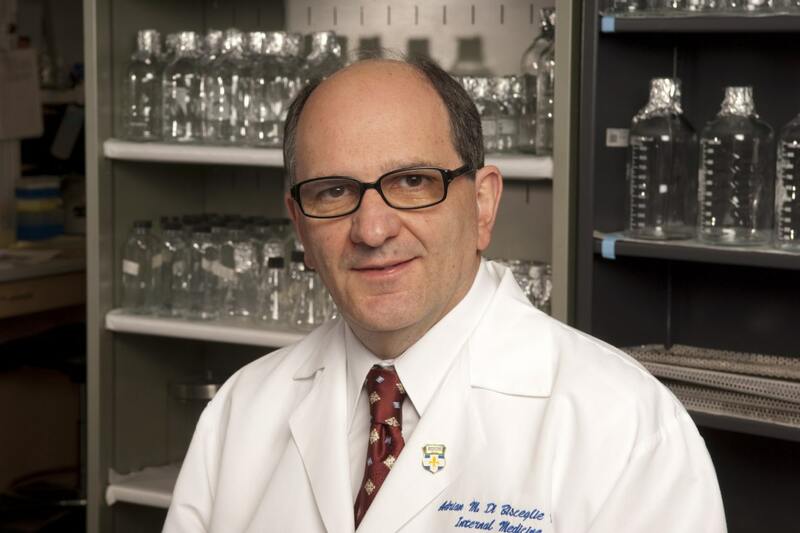 02/12- Saint Louis University physician and researcher Adrian Di Bisceglie, M.D., has been named a fellow of the Academy of Science St. Louis for his work in the field of hepatology. 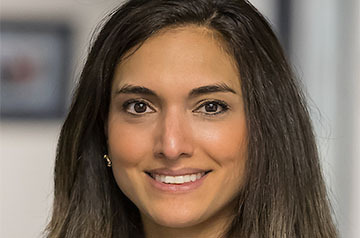 02/11- SLUCare dermatologist Ramona Behshad, M.D. will lead the association that represents physicians in the St. Louis area. 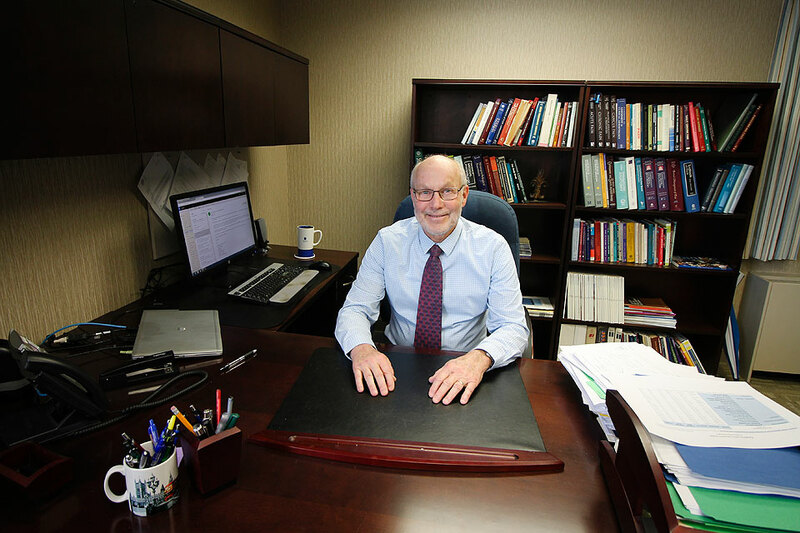 02/11- SLU's Criminology and Criminal Justice Program (CCJ) has been lauded as the "Program of the Year" by one of the nation's preeminent criminology and criminal justice professional associations. 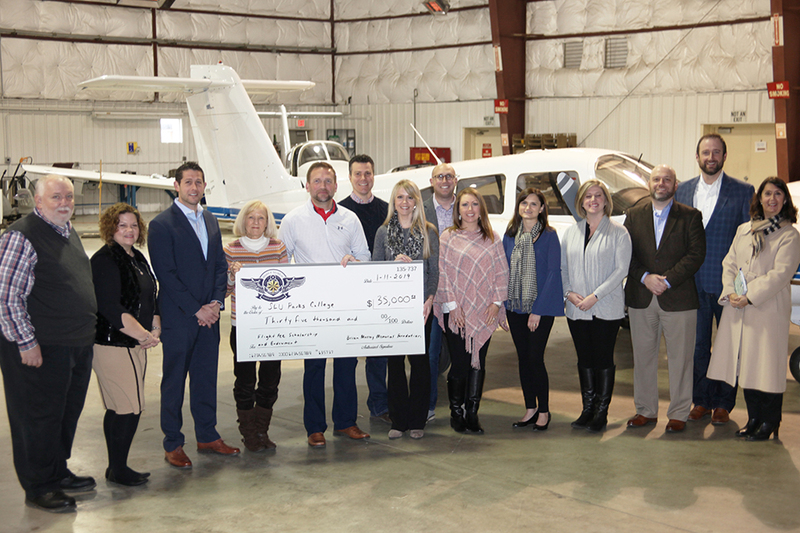 02/07- Saint Louis University’s Parks College of Engineering, Aviation and Technology has received a $35,000 gift to set up a scholarship honoring alumnus Major Brian Patrick Murray. 02/07- As the shortage of transplantable organs leads to growing numbers of people on waiting lists, Saint Louis University researchers found economic status, education and community location impact the choice to register to be an organ donor. 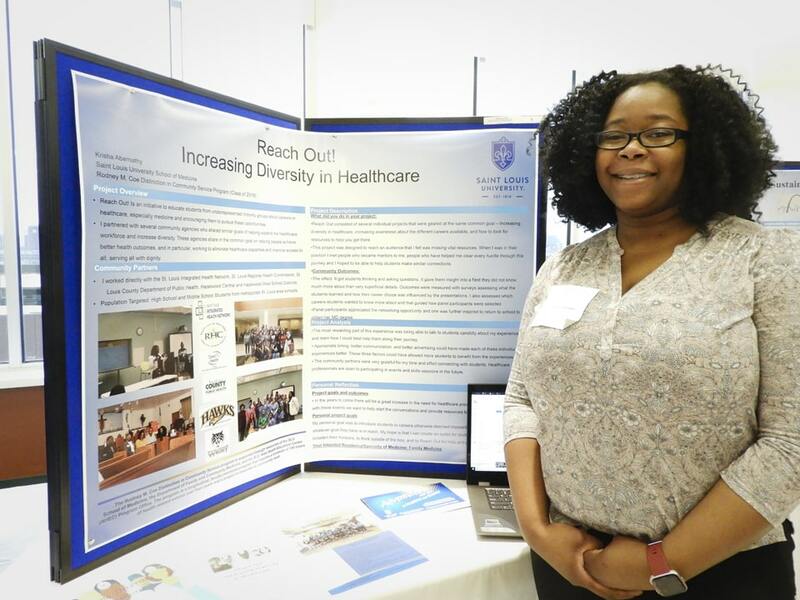 02/05- Research from Saint Louis University School of Medicine students was showcased recently as the school held its 54th annual Alpha Omega Alpha Honor Medical Society medical student research forum. 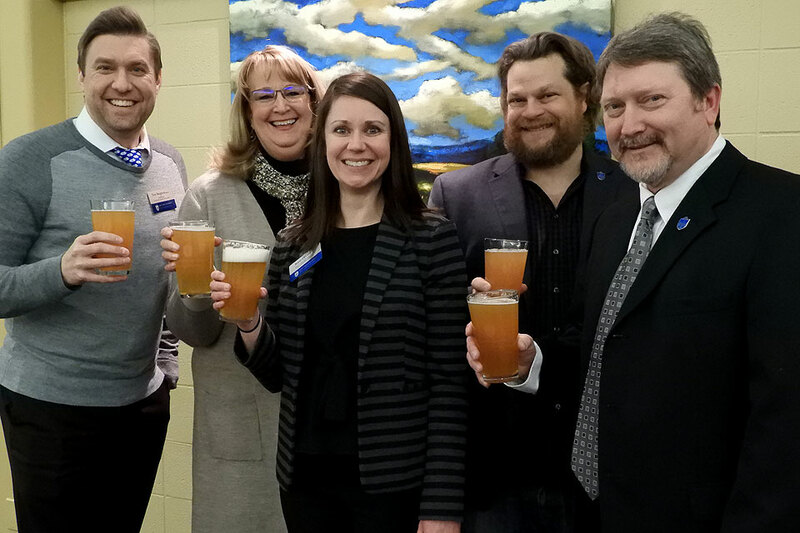 01/31- Saint Louis University’s School for Professional Studies has partnered with the St. Louis Brewers Heritage Foundation to offer a Certificate in Brewing Science and Operations.